Faceted ball neckchain 20'' sterling silver. 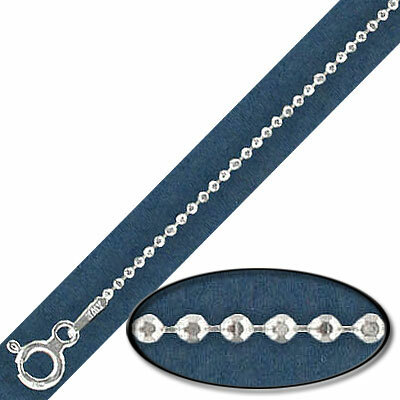 Frabels Inc.
Sterling silver 1.20mm faceted ball neckchain with spring ring, .925, 20 inch. (SKU# NCBCHF20/SSWH). Sold individually.